Apple has announced the WWDC 2018 event, indicating that its major conference will begin this year on June 4. 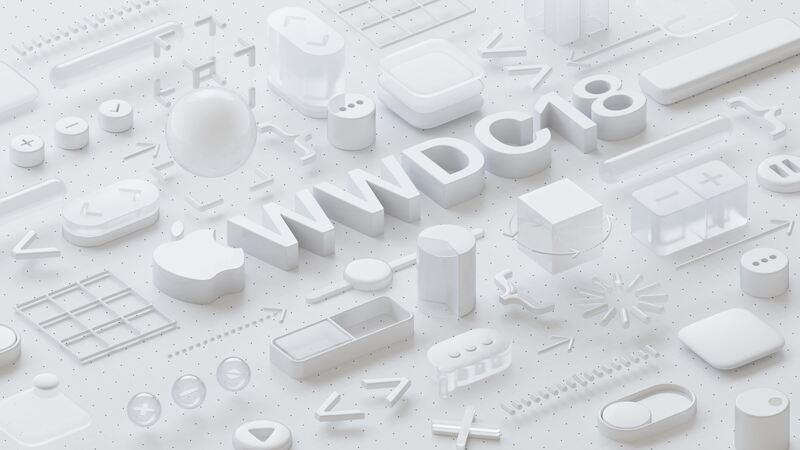 The Worldwide Developers Conference is undoubtedly one of the highlights of the technology year, and it will be intriguing to see what Apple has in store for the event this year. Top of the list will, of course, be iOS 12, but even months ahead of the conference it is believed that AirPods 2 could also debut at WWDC 2018. The focus of the WWDC 2018 event will particularly be the 12th iteration of the Apple mobile operating system. This could be a big year for iOS 12, as Apple looks to release three separate iPhone models, and update the already hugely popular iPhone X.
Interestingly, the early rumors suggest that iOS 12 will concentrate more on performance and reliability than innovative new features. Reports suggest that Apple has tired of criticism related to software-related issues over the last few months, and intends to right these wrongs when iOS 12 emerges. Of course, there will definitely be some new functionality included as well, with announcements expected to center around augmented reality, digital health, and parental controls. This would provide a pleasing mix of practical and snazzy new features, and would probably attract attention from a wide demographic. Apple has particularly committed itself to augmented reality, indicating that it is excited by the possibility of this technology. So we can expect augmented reality to play an increasingly significant role in the iPhone going forward, with iOS 12 likely to acknowledge this with significant AR functionality. However, the complexity of producing iOS 12 means that some of the desired updates may be pushed back to 2019. Updates to some of the cool applications included in the Apple pallet of software may be delayed, while the refreshed Home screen that had been mooted for iOS 12 may also be delayed until next year. When Apple makes its keynote speech at WWDC 2018, it will almost certainly address other software products intended for release this year as well. The latest news on the Mac, Apple Watch, Apple TV and other devices will also be incoming, although there is no guarantee of any hardware releases. Apple could also utilize the WWDC 2018 conference as an opportunity to promote its Siri system. Significant updates are expected for the artificial intelligence assistant in 2018, and this product is undoubtedly becoming more important in the contemporary climate. Apple’s recent HomePod release made use of the Siri system, and with both Google and Amazon also investing heavily in this field it is clear that this is a growth arena for the future. Meanwhile, AirPods 2 is set to launch at the WWDC 2018 event as well, which can be considered something of a departure from the norm. It is unusual for Apple to announce new hardware products at its developers conference, but the introduction of HomePod last year seemingly changed this policy. With Apple being strongly linked with a sequel to the existing AirPods, it has been strongly rumored that AirPods 2 will indeed emerge at the WWDC 2018 event. AirPods 2 will be characterized by the inclusion of the newest wireless chip produced by Apple, pointing to an improved performance over previous products. There is also an artificial intelligence aspect to AirPods 2, with previous reports indicating that it will be possible for users to access the Apple Digital Assistant hands-free by making the command ‘Hey Siri’. With Apple looking to generate as much anticipation as possible for the WWDC 2018 event, it does makes sense to unveil this heavily rumored AirPods device. It is also believed that Apple will reveal a new way for developers to create multi-platform apps, meaning software will work across both iOS and Mac OS devices. This would obviously be a major breakthrough, and convenient for both the Mac-using and development communities alike. WWDC 2018 would be the obvious venue for such an announcement to be made, and it would certainly be headline news if it does come to fruition. Reports suggest that such applications would be compatible with touchscreens, alongside the usual trackpad and mouse, depending on the device that they are being used with. This multi-platform approach would obviously make sense for Apple, particularly due to its policy of promoting the iPad as a possible laptop replacement. Indeed, the most recent iOS 11 release strongly emphasized productivity features for the iPad Pro, including a large dock being included at the bottom of the Home screen, alongside a file manager application. Creating apps that run across mobile and desktop platforms would be a further step in the unification of the Apple product range, and would seem to be an excellent prospect for consumers. There is also the slim possibility that Apple could make a major hardware announcement at the conference, with the fourth generation Apple Watch expected at some point during 2018. The latest version of watchOS will probably debut at the conference as well, and Apple could be tempted to announce its fourth smartwatch alongside the software. The WWDC 2018 event is set to be the largest worldwide developers conference yet, and it should be an intriguing date for developers and observers alike. Last year saw SiriKit, HomeKit, HealthKit, GymKit, MusicKit, ResearchKit, and CoreML revealed, and Apple fans will be hoping for a similarly exciting portfolio of software products this year, possibly accompanied by a few hardware surprises.